They are safe, fast, clean and pleasant smelling, eliminating the need for kindling, paper or liquid starters. One firestarter will effortlessly light the charcoal grill. They even ignite damp fire wood! We recycle used and scrap candles to make our starters. Made from used church candles which we purchase from many churches. 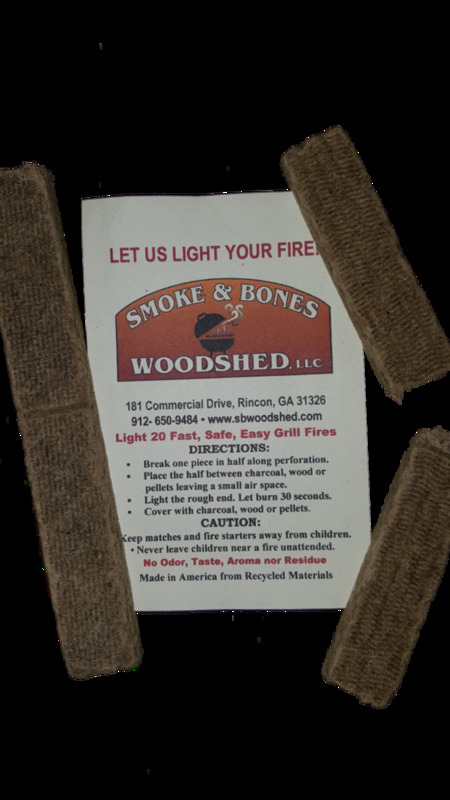 The wax is blended with sawdust that has been pressed into sheets in an American mill to produce a reliable and pleasant smelling firestarter.